Solutions to keep you from being the victim of burnout. The stress of life in this century is increasing the number of people reporting burnout. Several factors are at play here. The time spent in formal education has increased dramatically. Many people today graduate from school ready to begin their work career already buried in student loan debt. The available jobs on planet Earth have shifted from working with plants in agriculture and things in manufacturing to working with people. Life itself has simply become more stressful. Before you experience burnout, here are some things you can do to protect yourself. One of the first signs of burnout is feeling physically and emotionally exhausted. It’s tempting to believe you can stay up late and still be productive the next day. Eventually, you will develop a sleep deficit, and your ability to cope with stress will decline. Alcohol and drugs may make you feel better in the short run, but when they wear off, you will be more depleted than before. Using drugs and alcohol to cope is a sure way to accelerate your journey to burnout. Maintain friendships and social connections. Having positive friendships and social support buffers you from stress. As life’s demands increase, people are tempted to reduce their social connections. Having a support system will help you get through stressful times. Time spent with friends is not a waste of time which could’ve been productive at work, it’s an investment in maintaining your ability to cope with stress. There are a few things which require perfection or near perfection. If you allow the quest for perfection to spill over into areas where it’s not needed, you increase your stress level possibly to the breaking point. Scheduled downtime, don’t over schedule yourself. Machines can’t run and 100 hundred percent of capacity, neither can humans. Cramming your schedule full of work and the rest of your time full of frantic leisure activities can exceed your physical and emotional resources. Use relaxation tools, meditation, deep breathing, etc. Don’t wait until after your burnout, to learn stress reduction techniques. Simple relaxation tools can lower your level stress and keep you physically and emotionally well. When times are stressful, it’s tempting to try to keep up your productivity by working through lunch and skipping breaks. Temporarily this may increase what you get done, but over the long haul, your productivity will decline. Ultimately neglecting self-care results in exhaustion which leads to burnout. Avoid taking on projects and responsibilities you don’t have the energy and resources to accomplish. Failure to say no results in becoming overwhelmed. After your burn out someone else will do your job and probably they will say no to excessive demands. Setting proper boundaries can help you continue to function effectively over a much longer period. Practice disconnecting; you can unplug. Leaving work at the job is important. Avoid taking work home with you whenever possible. When you’re spending time with family or friends, be fully present with them. Don’t continue to think about work during your leisure time. Make self-care a priority, eat well, exercise. Make taking care of yourself your top priority. Believe that you matter. Create a life in which you thrive by eating well, sleeping and getting healthy exercise. Pursue the things that interest you and invest some time in self-improvement. Improve your job skills, so you have options. Avoid getting locked into doing the same work over and over. Keep your options open. Continuing to improve your job skills and learning new skills gives you additional options. Being able to move from one position to another or even from one company to another keeps you from getting trapped. Having other options reduces the chance that you will stay on the job past the point of burnout. More posts about – Burnout. Why you are burned out. Burnout has been one of the major problems of the last century, and it’s getting worse, not better. As more people work in jobs that involve contact with other people, stress has been magnified. Among social worker’s burnout was called “compassion fatigue.” Teachers experience burnout, so do bankers. Customer service representatives and those who work in phone centers commonly experience burnout. High levels of stress, particularly in situations where you are low in your abilities to control the situation, can result in burnout. Once you experience burnout, you may never be able to return to that job again. For some people, burnout is so complete that they become disabled and are never able to work afterward. Here are some of the things that may be putting you at high risk for burnout. Trying to do too much results in burnout. Worldwide, everyone seems to be doing more and finding less happiness. Today most families are either single parents or both parents work. With more hours put in on the job, there is less time for children, relationships, and self-care. The price we have paid for more material possessions has been long commutes, more stress on the job, and declining life satisfaction. Recently we have seen a tremendous increase in anxiety disorders, depression, and stress-related disorders. Poor mental and emotional health is resulting in poor physical health. If your whole life consists of running from one thing to the next you’re at high risk to break down and not be to do anything in the future. When you don’t say no, you take on too much. Whether it’s on the job, or in your personal life; not being able to say no puts you at an increased risk of burnout. If you’re one of those people, who feel guilty when you say no, you are sacrificing your health for other people’s approval. Taking on that one more project may be the one to many that lead to emotional exhaustion. Not taking care of your body, leads to burnout. Most people are chronically sleep deprived, not out of necessity but out of choice. In that respect electricity, has been a mixed blessing. People set their alarms so they can get up before the sun. It’s a rush to get yourselves and your family ready for the day. The evenings are spent binging on electronic entertainment. It’s common for people of all ages to stay up late online, frantically pursuing pleasure. Junk food provides the bulk of the fuel for human bodies today. Being overweight or obese adds another burden, physically and mentally, for you to carry around each day. Poor physical self-care leaves you emotionally depleted as well and at high risk for permanent burnout. When other people’s opinion matters too much, you risk burnout. Social media likes have become the measure of personal satisfaction. A diet of craving other people’s approval leaves you starved for self-esteem. If you don’t feel good about yourself, you will never be able to get enough approval from others. One of the first signs of burnout is feeling chronically, physically and emotionally exhausted. You will burn out if your brain never gets time off. It’s common for people in therapy to report that their mind races. An unquiet mind can be a symptom of a particular mental illness, but it can also indicate stimulus overload. The human brain is designed to do most things automatically, without thought. Fewer things require serious deep thinking. When your brain is full of things you need to remember, and you are thinking deeply, your thought processes will slow down. When your brain is full, trying to do your daily job, life can be overwhelming. Pursuing someone else’s goals causes burnout. Some people look forward to their daily tasks. When you enjoy what you do each day, it energizes you. If you are pursuing your passions, are on the jazz about what you do each day, you were unlikely to experience burnout. Many people find they can tolerate an unpleasant workday if their leisure time allows them to pursue their passions. The more of each day you spend pursuing someone else’s goals, the less time you will have to reach your objectives. Negative thoughts result in burnout. The thoughts you have, produce the feelings you feel. If your typical way of thinking is pessimistic, full of negative, unhelpful thoughts, you will become emotionally drained. As burnout progresses people move from feeling physically and emotionally exhausted to being cynical and negative about other people, the situation, and the future. When you begin to feel that you are incompetent, unable to do your daily task correctly, you are at the end of the line for burnout. How to create job burnout. Some of the things you’re doing can increase burnout risks. Life can be stressful. Some jobs are more stressful than others. In recent years, job burnout has become extremely common. Once people reached the point of burnout they are likely to quit their job, get fired, or moved to a new equally stressful position. Some people become so burned out they must change careers or may not be able to work at all. While you can’t always control the stresses in your life some of the things you’re doing may be increasing the risk that you will burn out or have a nervous breakdown. How many of the things on this list are propelling you towards burnout? Sleep less, and you can burn out more rapidly. People under stress frequently try to do too much. You can’t continue burning the midnight oil for very long before the lack of sleep will wear you out. Not getting a full night’s sleep increases your risk of burnout. If you think you’re too busy to get a full night’s sleep just wait until you crack under the stress. Once you have a breakdown you will have plenty of time to stay home from work. Increased alcohol consumption leads to burnout. In the short term drinking alcohol or doing drugs seems like a way to cope with stress. Anesthetizing yourself with chemicals doesn’t allow you to rest, it creates one more stress for your body to recover from. Drinking alcohol does not improve sleep. When you drink alcohol, you end up unconscious rather than sleeping. Your brain does not get a chance to recover. When your liver detoxifies the alcohol, you will wake up. Frequently people who use alcohol to sleep have disrupted sleep, wake up early, and can’t get back to sleep. Using stimulant drugs to increase your work abilities does not give you an unlimited supply of energy. When the drugs wear off, you crash, and your need for rest becomes even more acute. Abusing tranquilizers and pain medications will catch up with you eventually. You can only walk around with anesthetized pain, physical or emotional, for so long. Eventually, you will collapse into burnout from physical and emotional exhaustion. Humans are inherently social. People who have a good support system, feel like a part of the team, can cope with stress. As people become physically and emotionally worn out, the early signs of burnout, they often isolate. The more you cut yourself off from other humans, the more rapid the journey toward burnout. If you find yourself too busy to spend time with your family and friends, you are traveling the dangerous road to an emotional breakdown. Being a perfectionist will burn you out. B students are happier than straight A students. When a straight “A” student gets even one “B,” they feel like a failure. The “B” student is delighted with the occasional “A.” If your way of coping with stress is to try to do everything perfectly, you are turning up the intensity of your stress and cooking yourself into a burnout. There is such a thing as “good enough parenting” if you do more things right than wrong your children will think you’re a wonderful parent. Try to get everything right, and insisting they be perfect is a recipe for conflicted relationships at home. Many people who develop job burnout come to work in the morning already emotionally exhausted from relationship problems at home. If your relationships are not supportive, work on improving your home life. Consider counseling, for you, for your relationship, or for your family, before your stress at home destroys your work life and your emotional health. Having few job prospects leads to burn. People who feel trapped in a high-stress job convinced themselves they have no other options. If you’re unhappy while at your job, spend some time deciding what is causing this unhappiness. Is it the job you’re unhappy with? Would moving to a different company actually relieve your stress? Or have you trapped yourself working in a job you don’t enjoy, with few prospects of finding another job? The best time to look for a new job is when you have one. If however, the problem is not the job, but that what you’re doing for an income doesn’t match with your values, life goals, and ambitions, the way to avoid job burnout is to work on yourself and become the best possible person. Limited job skills increase the burnout risk. Lack of variety in anything can take all the pleasure out of what you’re doing. If you have only one skill, that will be all you will ever do. The day you can’t earn a living doing that one skill is the day you become unemployed. Learning additional skills gives you the opportunity to have a more varied day and to be more useful to your employer. Look for opportunities to identify skills you have, but which have not been developed. Growing as a person opens up more opportunities and reduces your risk of burning out doing that one thing you know how to do until you can do it anymore. The things you are doing may be making the stresses you’re under worse. Your current actions, or inaction, may be accelerating your journey towards burnout and an emotional breakdown. Check out the other counselorssoapbox.com posts about stress and burnout. Are you destined for job burnout? Job burnout is taking a huge toll. Despite not being a recognized mental illness, work-related burnout is a major reason people go out on disability. We have tried various approaches to this problem. Sometimes we blame the employer, too much work, too much stress, not enough staff to meet the challenges. Other times we blame the employee. If you have worked anywhere with a significant number of employees, you know some people arrive at work already stressed out before the workday begins. Maybe they have relationship problems, sick children or financial stress, whatever the reason some people arrive at work already stressed out. At some work sites, everyone is stressed out. In some occupations, people are burning out faster than new employees can be hired. Some interesting research has been done recently in China. As they moved to modernize their economy, burnout has been a significant issue. In the aftermath of the financial crisis of 2008, bank workers were under significant work stress. It’s not customary to think of bank employees as likely to burn out, but in 2008 the burnout rate among Chinese bank employees reach seventy percent. Repeatedly studies of social workers have reported burnout rates of more than fifty percent. One of the consequences of employee burnout is that the social worker becomes emotionally exhausted and tries to protect themselves by withdrawing emotionally from their clients. As the number of burned out employees increase, client satisfaction declines. One consequence of so many burned out human service employees is poor recovery rates among the clients they serve. 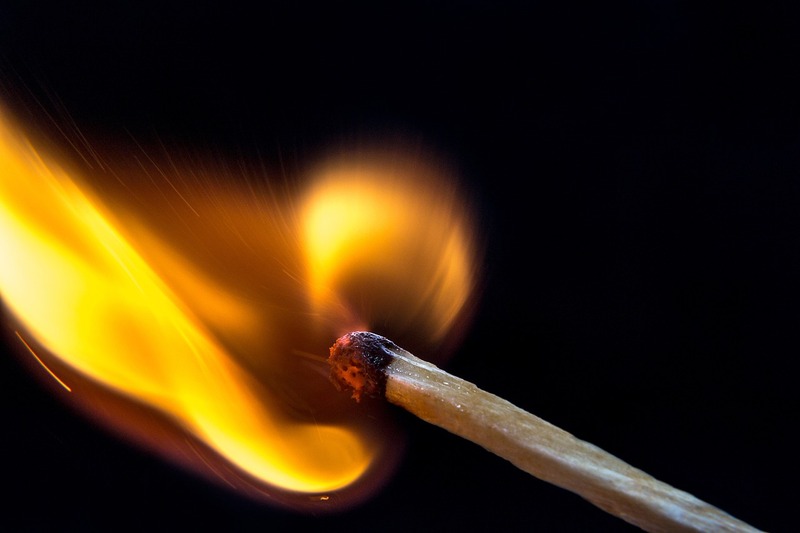 Why burnout doesn’t always result in high employee turnover. Many of the professions with high burnout rates are highly paid but require advanced education. Doctors go through an incredible ordeal and accumulate a large amount of student loan debt. Social workers, counselors, and therapists, often have master’s degrees are Ph.D.’s. The process of continuing in school for six or eight years past high school can result in large student loan debt. Careers that require long training periods and a large financial investment can trap burned out employees who must work for years to pay off financial debt. They may also be unable to move to a new occupation without taking a huge pay cut, resulting in additional financial and family stress. Burned-out workers who feel trapped and unable to change their employment become less productive, less cooperative with other staff, and are more likely to become detached from, and cynical about, the clients they work with. High burnout rates may result in everyone being inexperienced. In some occupations burnout results in higher than normal turn over. One survey of drug and alcohol counselors revealed that more than half of the counselors had been on the job for less than a year. Many public mental health facilities have a high number of recently graduated clinicians compared to the number of senior staff available to oversee their work. Many clients experience multiple changes in the person providing their service. It’s hard to develop a good relationship between therapist and client when the therapist keeps changing. Don’t let yourself become a victim of burnout. High systemic rates of burnout suggest that there is not much an employer can do to prevent burnout among employees. Certainly, anything the employer can do to reduce employee burnout will benefit that employer. Employee assistance programs can be very helpful in letting employees resolve stressful issues. But keeping yourself from burning out is something everyone needs to make a priority for themselves. Don’t make the mistake of pushing so hard in the early stages of your career, that you burn out and don’t have a career. In future posts let’s explore some ways you can prevent burnout from taking control of your life. Job burnout is taking a huge toll. Despite not being a recognized mental illness, work-related burnout is a major reason people go out on disability. We tried various approaches to this problem. Sometimes we blame the employer, too much work, too much stress, not enough staff to meet the challenges. Other times we blame the employee. If you have worked anywhere with a significant number of employees, you know there are people who arrive at work already stressed out before the workday begins. Maybe they have relationship problems, sick children or financial stress, whatever the reason some people arrive at work already stressed out. In some occupations, people are burning out faster than new employees can be hired. Some interesting research has been done recently in China. As they moved to modernize their economy burnout has been a significant issue. In the aftermath of the financial crisis of 2008, bank workers were under significant work stress. It’s not customary to think of bank employees as likely to burn out, but in 2008 the burnout rate among Chinese bank employees reach seventy percent. Careers that require long training periods and a large financial investment can trap burned out employees who must work for years to pay off financial debt. They may also be unable to move to a new occupation without taking a huge pay, resulting in additional financial and family stress. Burned-out workers will feel trapped and unable to change their employment become less productive, less cooperative with other staff, and are more likely to become detached from, and cynical about, the clients they work with. In some occupations burnout results in higher than normal turn over. One survey of drug and alcohol counselors revealed more than half of the counselors had been on the job for less than a year. Many public mental health facilities have a high number of recently graduated clinicians compared to the number of senior staff available to oversee their work. Could your thinking problems be job burnout? Burnout damages your thinking abilities. One symptom of burnout is slow thinking. As job burnout becomes worse, specific thinking problems develop. If you notice that you’re having trouble with thinking, you may be developing job burnout. People suffering from burnout make a great many more errors. Burnout can also reduce your ability to make any kind of decision. Burnout leaves you too tired to pay attention. In the early stages of job burnout, people become emotionally and physically exhausted. A key element of burnout is this overwhelming emotional exhaustion. As the job burnout progresses people find you’re unable to relax and rest in their time away from work. If you spend your weekends worrying about what waits for you when you return to work, you’re never out from under that work stress. One of the first on the job symptoms of job burnout is a reduced ability to concentrate and pay attention. Any time you’re exhausted, it becomes more difficult to pay attention. If you find you are having trouble paying attention at work, forgetting important job duties, arriving home so tired you fall into bed, the cause may be that you are developing job burnout. Many people who were diagnosed with chronic fatigue syndrome also show the symptoms of job burnout. That does not mean that chronic fatigue syndrome is all in your head, but rather than high levels of stress hormones can cause impairment to your nervous system. Burnout interferes with making good decisions. Burnout has been linked to declines in executive function, the part of the brain that decides what to do and when to do it. As burnout progresses, as you become more and more emotionally exhausted, decisions will become harder and harder to make. People with burnout can’t remember things. Memory is impaired as the burnout progresses. As you become too tired to function, your brain becomes too tired to store and process memories. Because burnout is a response to stress more and more of your brains capacity is used just to get through the day, leaving less and less memory capacity for storing important information. Memories are consolidated, saved for future use, during sleep. If the stress you have been under is keeping you from sleeping, or causing fragmented sleep, your memory systems will be impaired. People suffering from burnout notice only the negative. At the end of the workday, they will have noticed fewer positive events. As burnout becomes worse, you will become more biased towards negative, pessimistic thoughts. The constant focus on what’s wrong will reduce your level of happiness. This loss of the ability to feel pleasure is one of the key overlaps between work burnout and developing a long-term major depressive disorder. Burnout damages your ability to sleep. The stress component of burnout leaves you tired but unable to sleep. Any night you are unable to get at least six hours of sleep you will be highly impaired the following day. If you find yourself repeatedly sleeping less than six hours you may be headed for an episode of major depressive disorder or another serious mental illness. Warning signs you are headed for burnout. Burnout can derail your life. poor work performance, getting fired, or employees quitting. Burnout has also been reported in caregivers for the seriously ill. If your emotional exhaustion is interfering with your ability to work, and that work may include caring for ill family members, don’t wait for the breakdown. If you have any of the symptoms alone, seek help. Whenever you experience physical symptoms, it’s wise to start by seeing a medical Doctor and rule out a medical cause for your symptoms. But if the doctor can find nothing organically wrong that doesn’t mean you should ignore the problem. When you’re under stress over a long period, your emotional system takes a beating. Here are some warning signs you may be headed for burnout and no longer be able to cope with the life you’re living. Extreme low energy for no apparent reason may be burnout. Burnout often begins with emotional exhaustion. When things come out you faster than you can cope with your emotional system can become stressed out. You are suffering from emotional exhaustion pay attention and make some changes in your life. Reduced ability to sleep is common in burnout. Whenever you notice a change in your sleep patterns, look for a cause. Having too much on your plate, getting to bed too late and getting up too early puts you at risk for emotional exhaustion and work burnout. But if you go to bed early and still can’t fall asleep, if you have frequent awakenings or wake up far too early in the morning and can’t get back to sleep, this suggests that something is impairing your sleep. Don’t ignore changes in sleep, do something about them. Loss of appetite can be a sign of depression. If you find that you have trouble eating, losing weight for no apparent reason, think about the emotional stresses taking place in your life. Loss of appetite can be a symptom of a serious major depressive episode. Your body can’t run well without healthy fuel. Don’t wait till your body has paid the price before you do something about reducing your stress. Loss of ability to focus, concentrate, or remember may be from burnout. People who are suffering from burnout find they will have difficulty with paying attention and focusing on tasks at hand. As burnout becomes more severe, there are less and less mental resources available to stay on task. Burnout by itself will impair your thinking. Add in the loss of sleep and changes in appetite and your ability to function can decline dramatically. People suffering from burnout tend to forget. It’s the minds way of protecting you from too much to do. Pay attention to this warning sign. Being both physically and emotionally drained are symptoms of burnout. Burnout begins with emotional exhaustion but frequently progresses to leave you physically drained also. If getting extra sleep on the weekend doesn’t bring you back to normal pay attention to that worn-out feeling. Don’t wait for the nervous breakdown before acting. People who reach the more severe levels of burnout may be unable to return to their job or may even be unable to work in the future. Burnout causes Loss of motivation. People can get through some very difficult times if they have a meaning or purpose in life. If you stopped caring about what you do and why you do it life will become much more difficult. Think about ways you have motivated yourself in the past. Study motivation techniques. But if you find you are just to worn out to care you’ve reached a level of serious burnout. Frequent illnesses can be the result of burnout. Unhealthy stress increases the chances you will become sick. Stress reduces your resistance to infection. Burned-out workers use more sick days each year than there are emotionally healthy co-workers. Don’t lose a large chunk of your life to burnout related illnesses. Physical symptoms with no apparent medical cause may be burnout. Burnout related stresses put a heavy burden on many of the systems of the body. Burnout along with anxiety and major depression overlap a great many physical issues. Check with the doctor first but also consider ways to reduce the stress and to learn new more effective ways to cope with ongoing stressors. Burnout could cause constant, high anxiety. If the anxiety is your constant companion but others around you don’t perceive any real danger you may have become hyper-vigilant always on the lookout for something that could go wrong. Excessive levels of anxiety are another symptom of burnout. Burnout causes an increase in anger and irritability. As people’s level of burnout increases, they become harder and harder to be around. If you find it difficult to get along with people at work who used to be your friends, ask yourself if you’re becoming more irritable. Don’t wait for your irritability to become anger and your anger to result in doing things you regret. Coworkers suffering from burnout are a major source of workplace violence. Seek help before you do something you’ll regret.